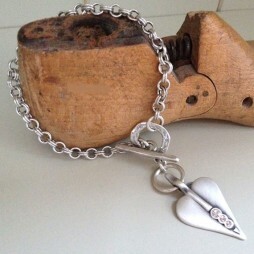 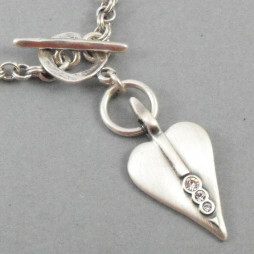 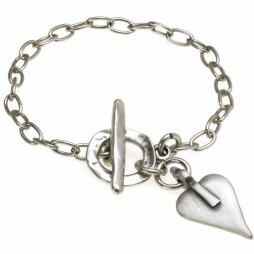 A beautiful Friendship Bracelet with a silver hearts disc. 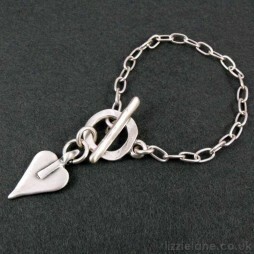 In black, with an adjustable length fastening bracelet it has been beautifully finished with a silver circle charm. 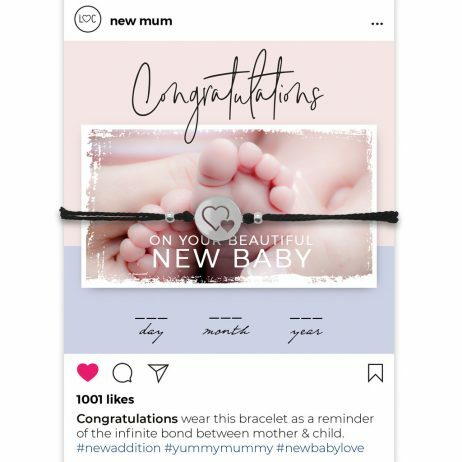 It comes on a fabulous Instagram inspired card with the thoughtful message ‘Congratulations Of Your Beautiful New Baby’ and is reversible for you to write your own personal message. 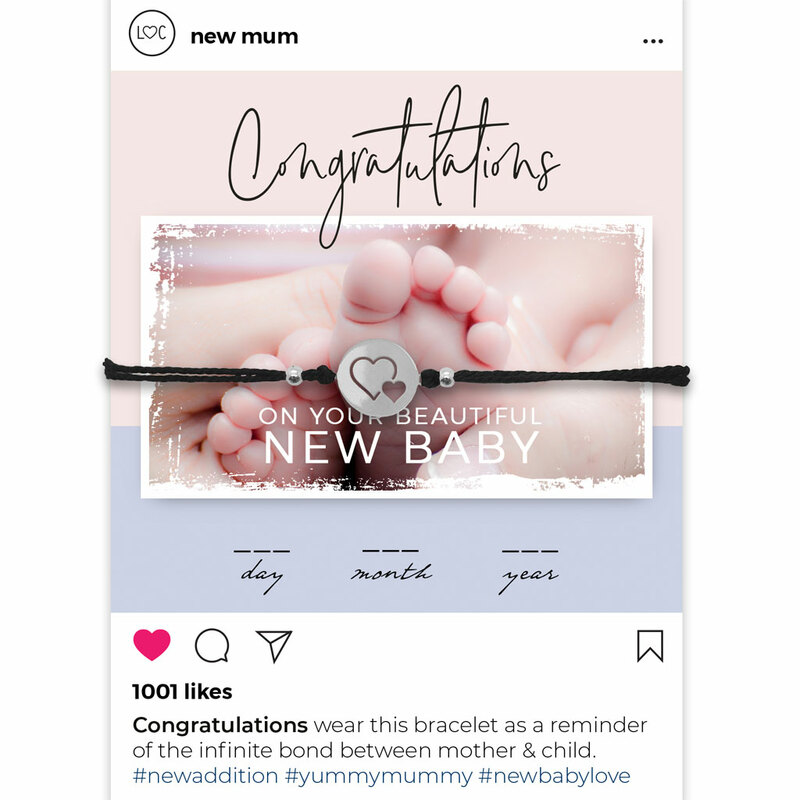 A Beautiful Gift for a Beautiful New Mum! Send as a gift on its own or it could also pop it inside a greeting card to post as a large letter – your mum can even frame the gift card. 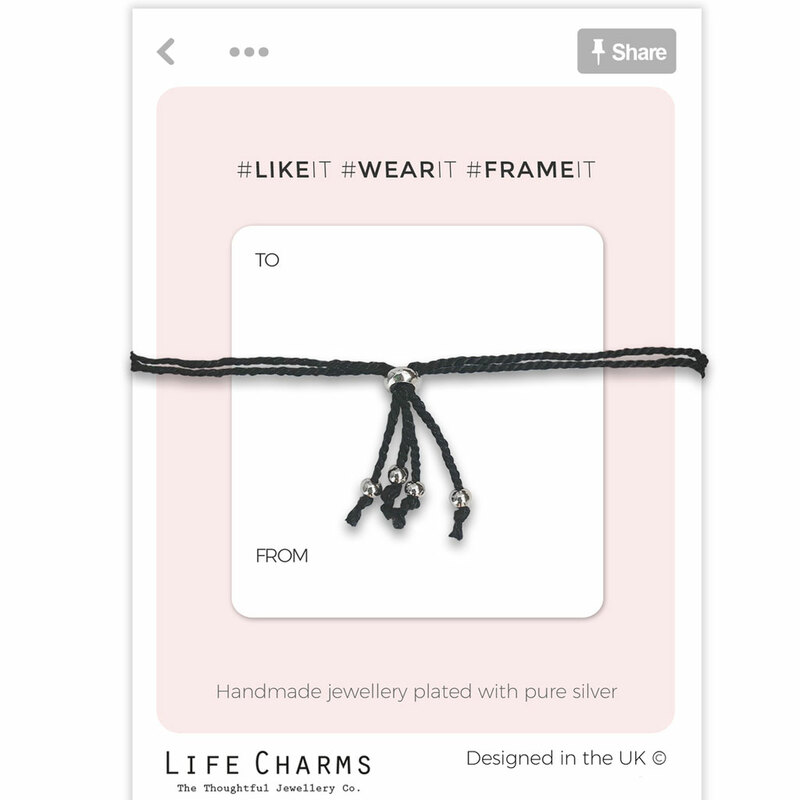 Gifts By Occasion, Life Charms Jewellery, Thank You Gifts, Gift Ideas, Gifts £0 To £20, Jewellery, Bracelets, Charm Bracelets, New Arrivals.